Stay tuned for the continuing story of Bears! “and his Knights of the Round Table,” by Roger Lancelyn Green. Well, first, I would like to say, I was surprised to discover – Roger Lancelyn Green was a part of the “Inklings” literary discussion group along with J.R.R. Tolkien and C.S.Lewis. (I read that somewhere.) Interesting. What to say? What to say? I have heard, as most of us have, stories of King Arthur, Queen Guinevere and the Knights of the round table, since elementary school. Launcelot, of course, is famous! However, I rarely heard anything about any knight, other than Launcelot. 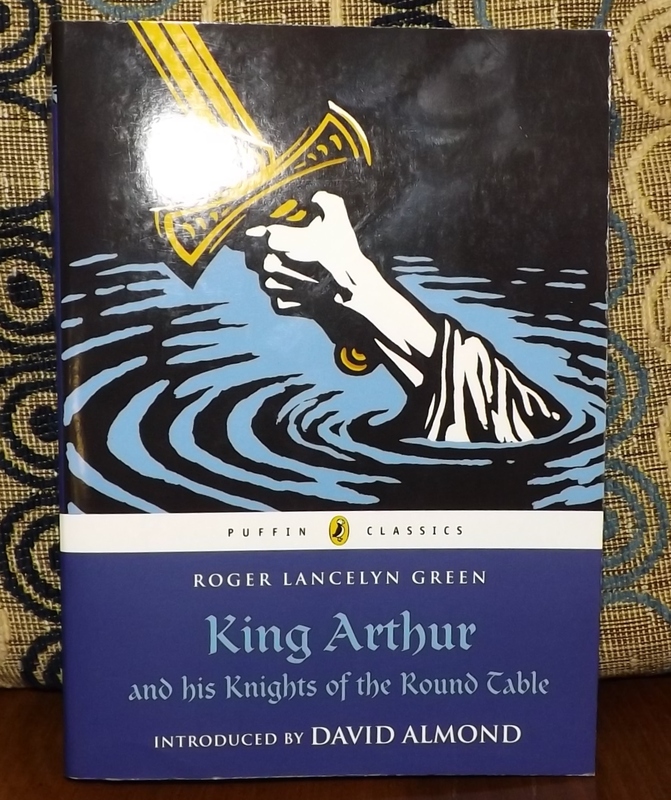 The main reason I enjoyed reading this tale so much – I read about the other knights of the round table. My two favorite knights – Sir Percival and Sir Galahad. Percival had an innocence that was refreshing to me. He was eager to serve and there was a quality to his eagerness that was new. I can’t quite put my finger on what it was, it might be intertwined with his innocence. All of that – and – he was a seeker, made him a breath of fresh air to me and a favorite of mine. Galahad had spiritual insights and a moral strength that I appreciated. I think we can all learn something from Sir Launcelot and Queen Guinevere. I thought the lessons there are obvious. All the quests of all the knights were interesting and enjoyable. This is a good read for kids and adults. What a treasure! Okay Penderwick family, the house on the corner, in our neighborhood is for sale! I would like you to buy that house and move in – we would be fast friends! Hound Penderwick is also, more than welcome! In the prologue of this story, it is a little sad. The author takes us to a time when Mrs. Penderwick is alive. Even though it is sad, I was happy to get a glimpse, of the mother, of these amazing girls. So, in this book, Martin Penderwick – Dr. Martin Penderwick I might add, is going to D A T E! I can’t even say the word, I had to spell it! So, the four Penderwick girls – Rosalind, Skye, Jane and Batty – and of course, Hound Penderwick have an emergency MOPS meeting. And of course, the Save Daddy Plan is put into action! This book was such a FUN read. I laughed and laughed. I read parts of the story out loud to my husband. The Penderwicks are so much fun, loveable and the adventures are incredible! 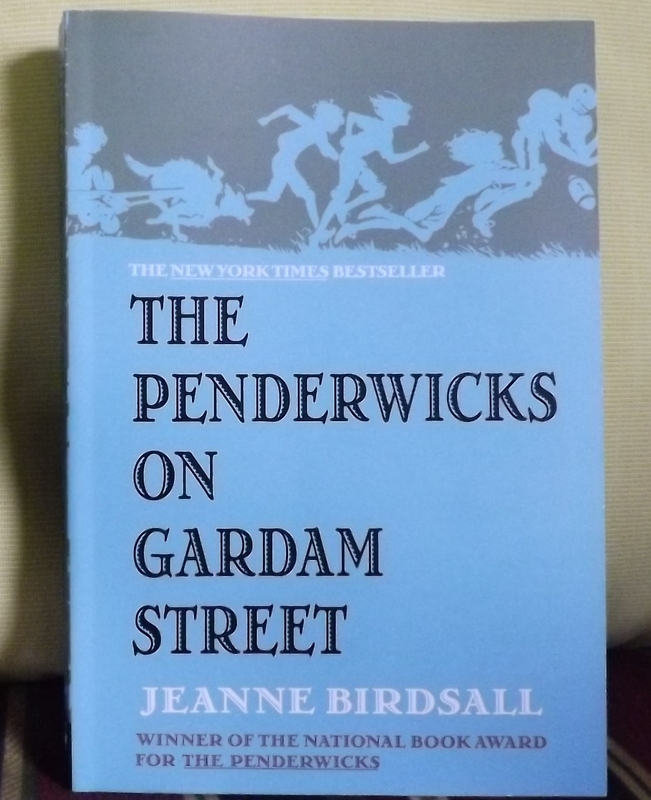 Read, read, read the Penderwick books. ENJOY! Jeanne Birdsall your stories rock! Ah yes – Fetterman Road! Oh the memories! After we loaded our vehicle with camping equipment, Doodles, our dog jumped in the back seat and we were off to Medicine Bow National Forest, Wyoming. Ahh! I saw your eyebrows go up when you read “Doodles.” Doodles was a great dog. She was Australian Cattle dog/Border Collie, and she was the smartest dog in the world! Her name was Snicker Doodles, but we shortened it to Doodles because Snicker Doodles was a mouth full to say! Sadly, she died early in life, but that’s another story. So, we’re off. I was driving and Rick was the navigator. When Rick told me to turn onto a highway, I slowed the vehicle down and gazed ahead of me. The highway started as a dirt road! I was apprehensive – to say the least. Doodles was sitting between us looking out the front window of the car. I think she was apprehensive too! However, she was so excited to be on an adventure, she was ready for anything! So, I drove the car onto the dirt road, alias – a highway and we were off. Wildlife abounded! There were stretches with fenced in ranches. I don’t think we ever saw a house! We saw mailboxes and signs indicating there were homes and people somewhere in the area, but I don’t remember ever seeing a house! The road became narrow. At times the “highway” was paved. We traveled onward. At some time, Rick became the driver and I took pictures. We pressed on and the road – alias highway – became more and more narrow. I was wondering what we would do if we met another vehicle on the road. Vegetation hung over the road, scraping our windshield and the top of the vehicle, but we managed to squeeze through. Several times I wanted to turn back, but we pressed onward and forward. At times it was dark with vegetation and it was a little creepy and unnerving. We laughed and joked about the “highway” we were driving on. We drove slowly, creeping along as the narrow road stretched out before us. There wasn’t a person to be found, no one to ask for directions. If we had turned into a questionable driveway, to find a house, we didn’t know how long the drive would be to the house, so we pressed on. I don’t remember how long we were on this “highway” – but – it seemed quite suddenly, we came to the end of Fetterman Road and saw before us – an INTERSTATE! We were exactly where we were suppose to be! We drove into Medicine Bow, found a rustic campsite and had a great week. Doodles was a natural at camping and had great fun. Rick and I still laugh about our experience with Fetterman Road! It truly was a successful shortcut to our destination. Months later, Rick met a new co-worker, where he worked, who also knew and experienced Fetterman Road. This book was published in 1964! I found this book at Junk Fest. When I saw it was a mystery, I didn’t want to pass it up. I bought it! It’s a “Weekly Reader Children’s Book Club Edition.” How about that? The treasures one can find at Junk Fest! The ancestral home is going to be destroyed, to be replaced with a bridge! 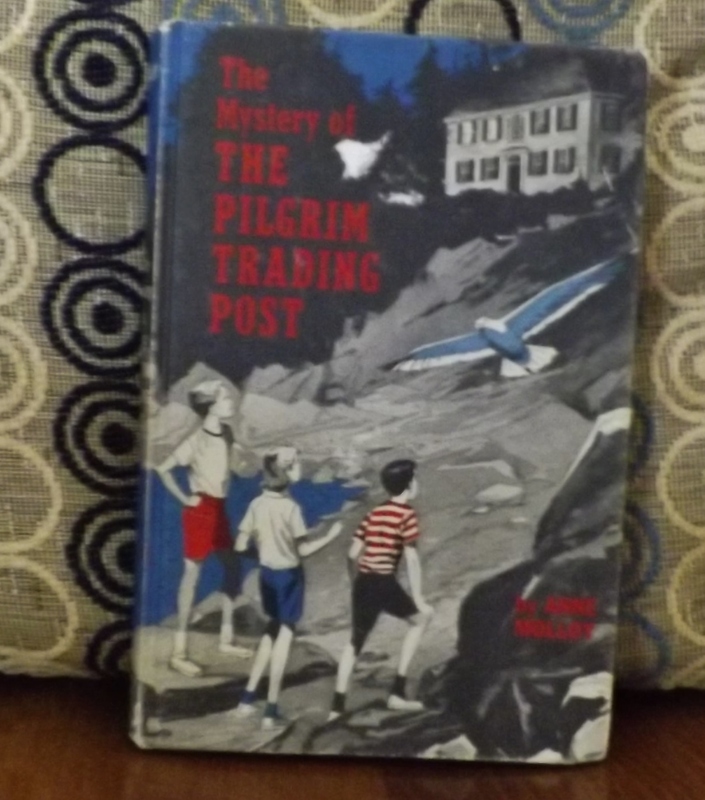 So, twins Will and Lettie Dennis and their cousin Jonas Wingate travel to the coast of Maine to visit Cousin Mary Peter Tibbetts and to see their ancestral home before it is no more. From the description the author, Anne Mollow, gives the reader in the story, it’s an impressive house and shouldn’t be destroyed! The family believes it was the first place where the Pilgrims traded with the Indians. If this is true, the house cannot be destroyed because it is a historic location. And so, the mystery begins. I liked it. I thought it was a fun mystery for kids. There are sketches throughout the book and I enjoyed the drawings also. I didn’t read anything in the book that would date it. If the cover was changed and the clothing the characters wore in the sketches were updated, the mystery could be for any young person in any decade. Well, my goodness . . . Yesterday I read, “Armored Hearts (Armored Hearts, #1)” and “Winter Fae (Armored Hearts, #0.5).” Armored Hearts is Steampunk/Fantasy/Romance. I don’t recall ever reading Steampunk in the past. I read Armored Hearts – totally – out of curiosity. I wanted to discover Steampunk. I liked it! Tristan Gareth Smyth is bound to a wheelchair. One day, he rescues a girl falling from a tree and discovers something about himself that surprises him and changes his life. Let me tell you – it surprised this reader also! There were several surprises in this story and I was captivated. I turned my kindle pages and wouldn’t quit until I finished this extraordinary book. I was amazed and delighted with the inventions in the story. I thought they were creative, revealed ingenuity and meticulous thought in the inventor! In a nutshell, it was just a really fun read! I am looking forward to the next book in this series. Winter Fae is a short story that will answer a couple of questions the reader might have after reading Armored Hearts. I thought Winter Fae was sad, however, it was imaginative and full of wonder. Winter Fae can be read before or after Armored Hearts. A big “shout out” to Pauline Creeden and Melissa Turner Lee, the authors of these creative stories!